With hot and dry conditions expected to continue, an increasing number of wildfires around the northwest and fire suppression resources already responding to a number of wildfires around Oregon, the Prineville District Bureau of Land Management, the Deschutes National Forest and the Ochoco National Forest and Crooked River National Grassland are increasing campfire restrictions today, Thursday, August 9. Deschutes and Willamette National Forests share management of Three Sisters, Mt. Jefferson, Mt. Washington and Diamond Peak Wilderness areas and the campfire ban includes all land within the Wilderness boundaries on both forests. Crescent Ranger District: Contorta Flat, Contorta Point, Crescent Lake, Simax Group, Spring, Sunset Cove, Trapper Creek, Whitefish Horse Camp, Windy Group Site, Odell Lake Resort and Campground, Princess, Shelter Cove Resort and Campground. Bend-Ft. Rock Ranger District: Big River, Crane Prairie, Cultus Lake, Elk Lake, Fall River, Fall River Guard Station, Gull Point, Lava Lake, Little Cultus Lake, Little Fawn, Little Fawn Group, Little Lava Lake, Mallard Marsh, North Twin, Point, Quinn Meadow Horse Camp, Quinn River, Rock Creek, Sheep Bridge, South, South Twin, West South Twin, Big River Group, Bull Bend, Wyeth, Cinder Hill, East Lake, Little Crater, Newberry Group, Ogden Group, Paulina Lake, Prairie. Sisters Ranger District: Allen Springs, Allingham, Blue Bay, Camp Sherman, Candle Creek, Cold Spring, Driftwood, Gorge, Graham Corral, Indian Ford, Jack Creek, Link Creek, Lower Bridge, Lower Canyon Creek, Perry South, Pine Rest, Pioneer Ford, Riverside, Scout Lake, Sheep Spring, Smiling River, South Shore, Three Creek Lake, Three Creek Meadow, Three Creek Horse Camp, Whispering Pine. Paulina Ranger District: Sugar Creek, Wolf Creek, Deep Creek. Lookout Mtn. Ranger District: Antelope Flat Reservoir, Ochoco Divide, Ochoco Forest, Walton Lake and Wildcat. Crooked River National Grassland: Skull Hollow and Haystack Reservoir. Prineville BLM: Campgrounds on the Lower Crooker River – Big Bend, Castle Rock, Still Water, Lone Pine, Palisades, Chimney Rock, Cobble Rock, Post Pile, and Poison Butte. 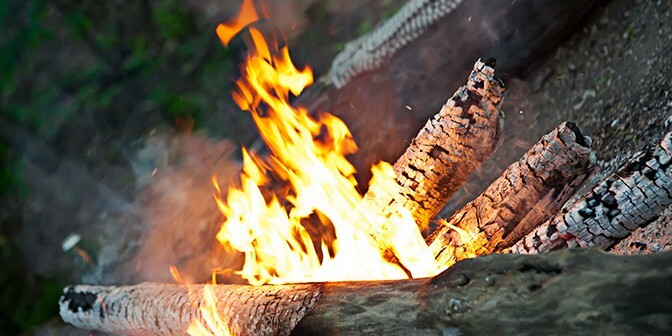 In addition to campfire restrictions, smoking is restricted to an enclosed vehicle or building, in a designated campground, in boats on lakes and rivers, or while stopped in an area at least three feet in diameter that is clear of all flammable material. 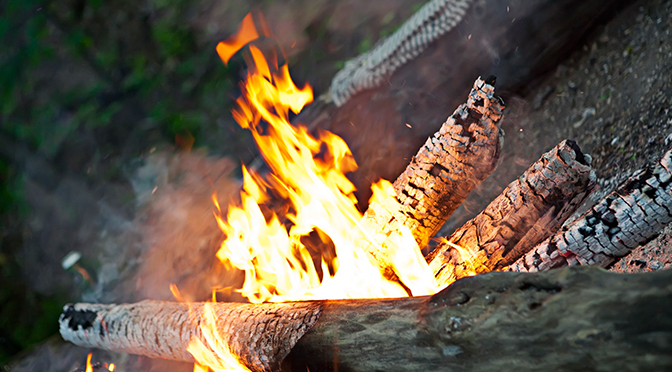 Portable cooking stoves, propane campfires or lanterns using liquefied or bottled fuel may be used in all areas. Officials want to remind the public that using explosive target material, such as Tannerite, explosives, and fireworks continue to be prohibited on all federal lands. The Prineville BLM, Deschutes and Ochoco National Forests and Crooked River National Grassland will remain in an Industrial Fire Precaution Level III (IFPL). The IFPL applies to permitted and industrial operations on federal lands. Commercial and personal use woodcutting is prohibited at this and all higher levels. IFPL III is considered a “partial shutdown” and restricts the use of chainsaws to loading sites on tractor/skidder operations to between the hours of 8pm to 1pm Only cable yarding systems that use non-motorized systems are allowed. Industrial welding and mechanized loading operations are also restricted to the hours of 8pm to 1pm Industrial and permitted operations may request a waiver from the Forest Service or BLM depending on land ownership at the activity location. It is the responsibility of all operators to know and follow the requirements of the current fire precaution level. Public use restrictions help protect the land, resources, and visitors. Officials carefully consider the current fire situation, fuel moisture and predicted weather before making the decision to implement fire restrictions. Every year lightning-caused fires place a heavy demand on our firefighting resources, and put our wildlands, our firefighters and our communities at risk. Fires caused through carelessness or negligence only increase the threat to life and livelihood, and place an even greater burden on already busy firefighters. Every fire that’s prevented protects our communities and helps our firefighters remain available, rested and safe.